Your personal fundraising campaign launch day is finally here. You send out your email blast and promote your campaign to every one in sight. You start to post all over social media and your donations start rolling in. Everything is working amazing! And then shortly after… crickets. 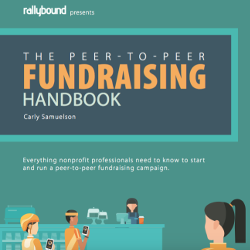 Before your big launch day, make sure to build the momentum before you start your personal fundraising. It’s important to publicize your campaign widely before your launch because people like to be a part of a success story. By building up a couple of possible fundraisers and donations from your family and friends before you present your campaign to a full audience, you will begin to present a message that progress is already happening with your campaign. More people will likely want to contribute to a campaign that looks successful because always remember that people like to be involved in success stories. When you share your personal fundraising progress, you stay relevant, captivate the attention of potential donors, and remind your followers of your campaign deadline. Donors are more likely to donate when they see that you’re close to reaching your campaign goal. Plus, reminding your donors about your deadline creates a sense of urgency that will lead to more donations. So, post on social media frequently to remind your donors about the progress of your campaign. One way to build your campaign momentum is to ask your donors for their feedback. Ask your donors what they like and dislike about your campaign and what key factors ultimately led them to give to your campaign in the first place. Additionally, asking questions from your supporters shows them that you care about your campaign enough to ask for their opinion. Also, supporters will likely get more invested if they feel valued, so always be sure to incorporate questions on your personal fundraising page. Finally, it’s ok to gain some inspiration from researching other campaigns! Don’t be afraid to look for similar campaigns and research what strategies they have used to reemerge after a possible loss of momentum. Compare their strategies with your campaign strategies to make your own improvements, and good luck!